How many times have you visited a website and literally scanned through it? The short answer is because visitors tend to look for quick answers when browsing the internet. The internet has the answer to most things so people want to do their own research and find the answer they need fast. In short, they prefer to scan and spot what’s attractive to their eye. Why are visitors not reading everything on a Website? Well the most important reason for this, is because the majority of visitors will not read long lines of text, especially if it’s online content. That would be tiring for the reader and not as comfortable as reading a book or magazine. One other reason is that users look for something very specific when going online. They look for information that would be easy to find, easy to understand and easy to purchase. Visitors will not “waste” time reading an entire article even if their knowledge on the matter is minimal. The last thing you want is to make your visitor come and go, instead of take that extra bit of time to browse your web page. Just imagine you want to install a new sound system in your car. You will expect your search engine to give you the answer to that enquiry. When you find the link that attracts your eye the most, you will click on that and begin to scan for the answer you’re looking for whether that is a word or image. In most cases, if the user does not see what he’s looking for within 20 seconds, he will leave and search again. This is just one pattern – there are of course many types of eye patterns, depending on what the user is looking for and what attracts them the most. 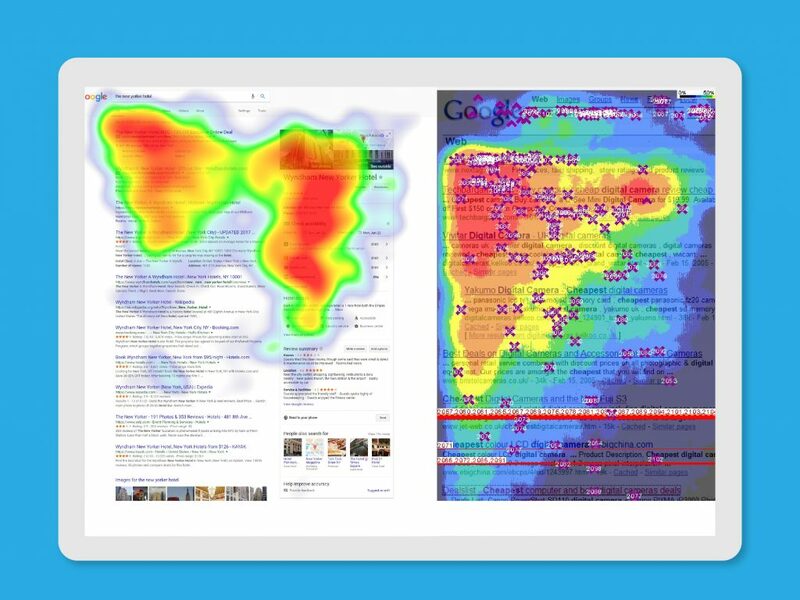 But as you can clearly see, the pattern shows where users focus mostly – on what is attractive to them. Website owners must understand why this is happening, how they can prevent this from happening, and finally use the right strategy to keep visitors on their web page. How to capture these types of users in? 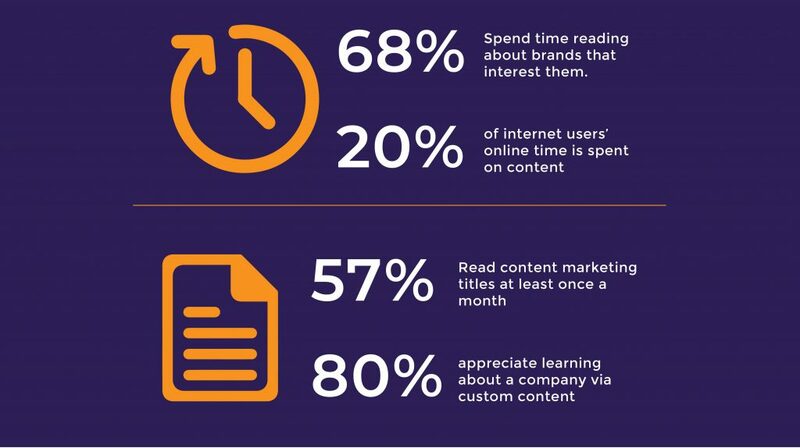 The secret to capturing these users and making them stay longer than average is to create content that is attractive to the visitor’s eye and gain their interest. Create an amazing headline, one that will automatically attract visitors and that will produce clicks. Create small paragraphs, as readers only read the first few lines of each paragraph, you need to leave a positive impression. Use images that support your story. People are reeled in much easier with images as they can be very descriptive in most cases. After all, 1 picture is worth 1000 words. Create the perfect landing page. This is the first thing your visitor will have to communicate with effectively. Entice them with your headline, hold them with your subheadings, your images and graphics, use buttons that visitors will notice and finally, promote your social networks because people tend to follow or subscribe before making any type of commitment. Highlight key points in bold or italics to bring out the important points. Bullet points help when being specific about information – these are easier to remember usually. Simple, plain language should be used to help viewers easily find what they’re looking for. Use a clear and easy navigation system that will help users make quicker decisions regarding how valuable or useful your content is to them. Give them spoilers. Clearly mention what you’re selling, what your services are. When they have committed to your webpage, then get into the details. Does your Web page need to improve? The information given in this blog does not necessarily mean that everyone will read the content but it would be interesting to see how many people viewed and read this blog or how much of it was actually read. For those who are in need of making improvements to their web page, their content, and building a better user experience, contact our team of experienced digital marketers and we will give your web page a new makeover for you and your visitors to enjoy.